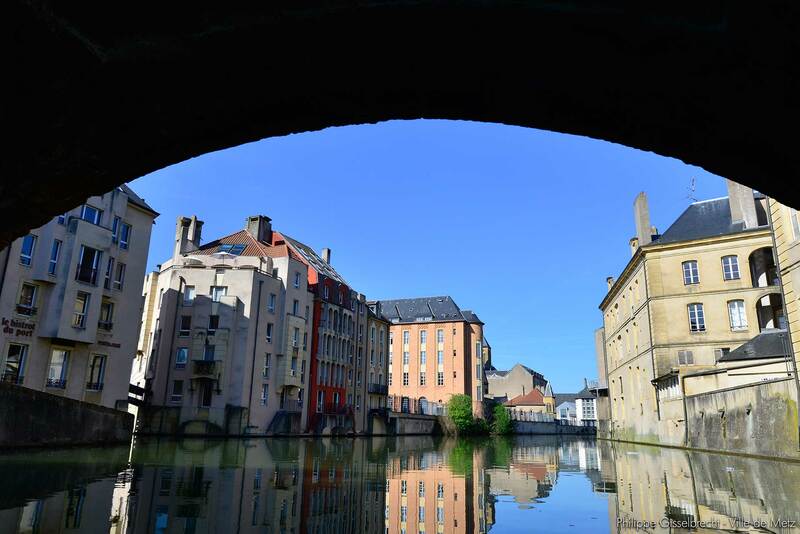 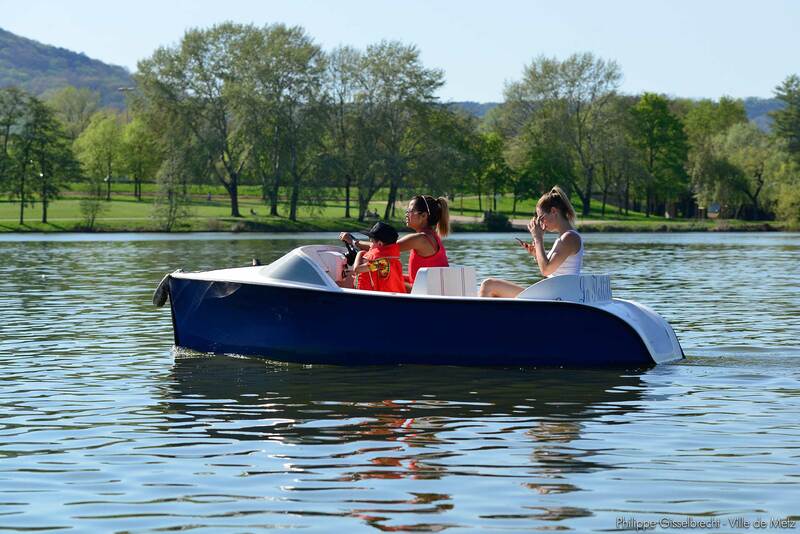 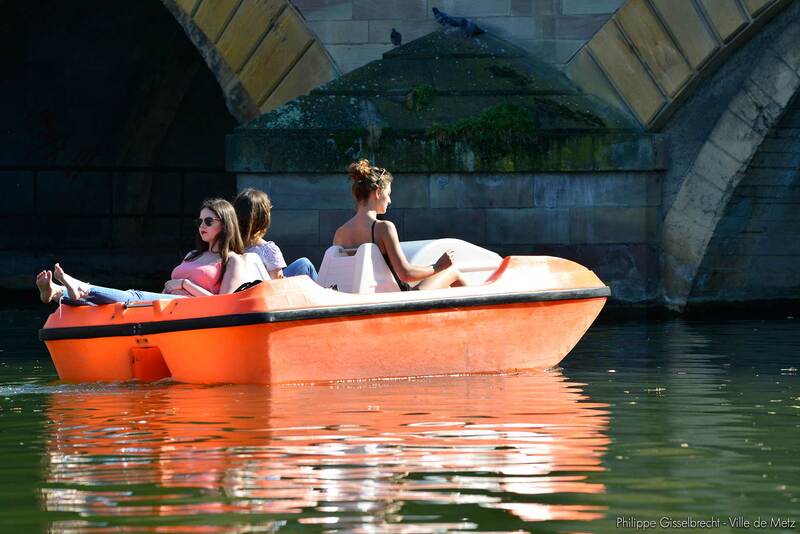 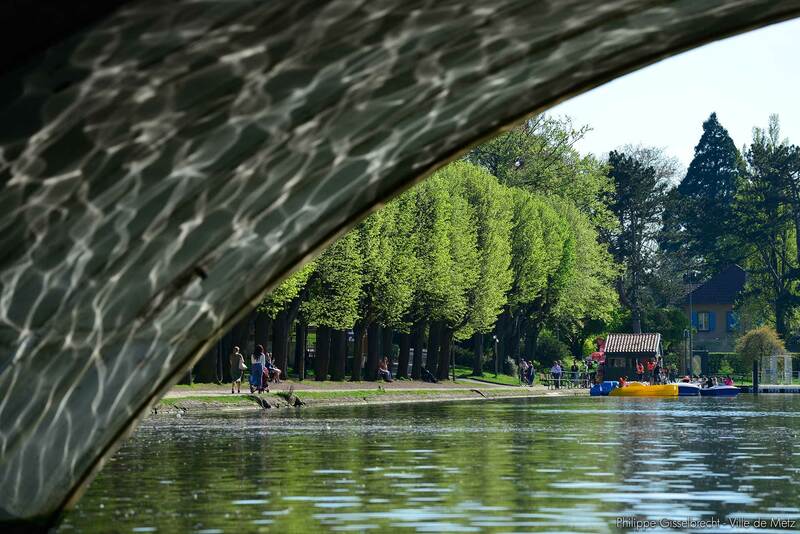 Discover Metz in an ecological way with our motor boats without license and without noise, pedal or rowing. 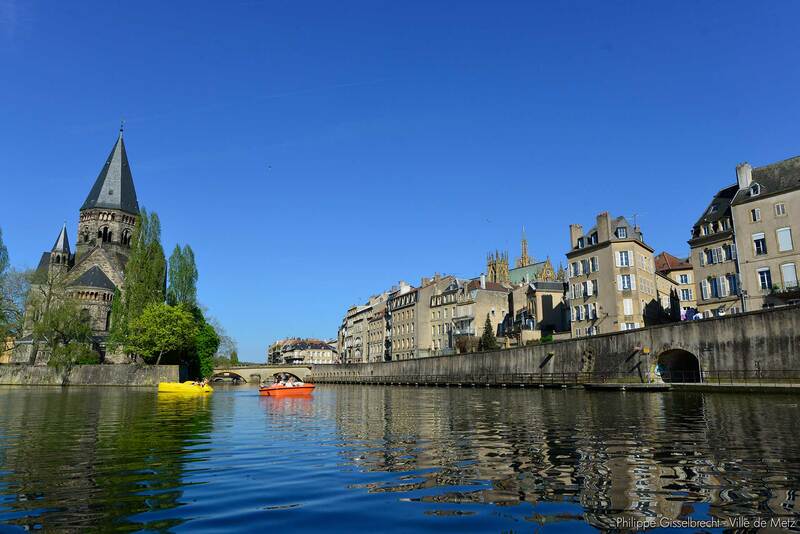 Go through the stretch of water and the dead river of the Moselle, main river artery crossing the center of the city of Metz. 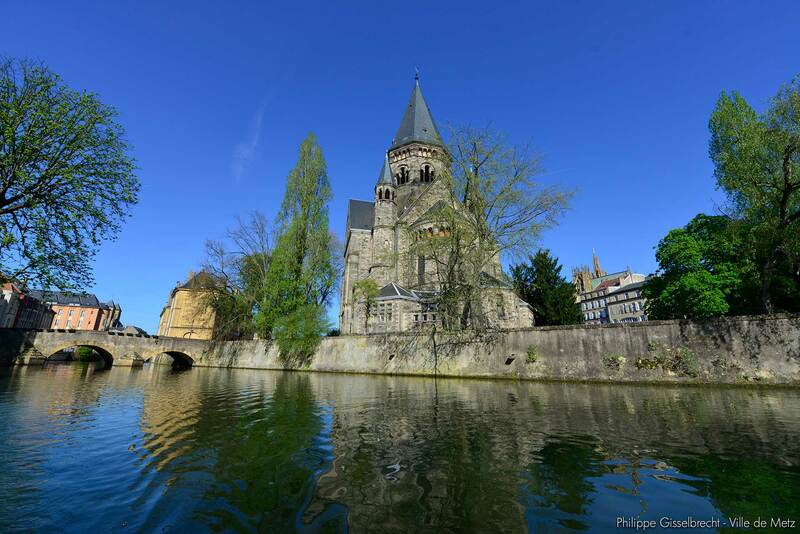 Discover the old stones with the new temple on its island, the imposing and majestic Saint Etienne cathedral in the background, the old wash house after the prefecture of the region. 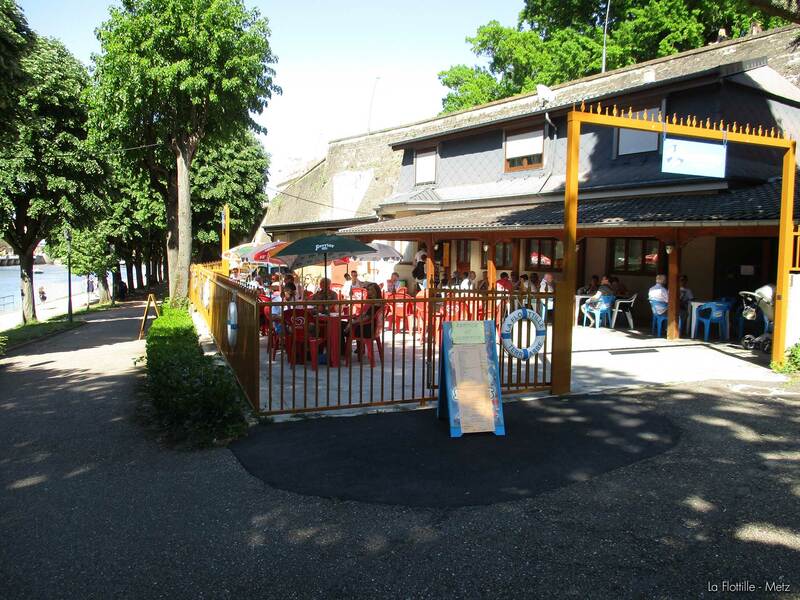 Stop by the port Saint Marcel, nestled in the heart of his residence. 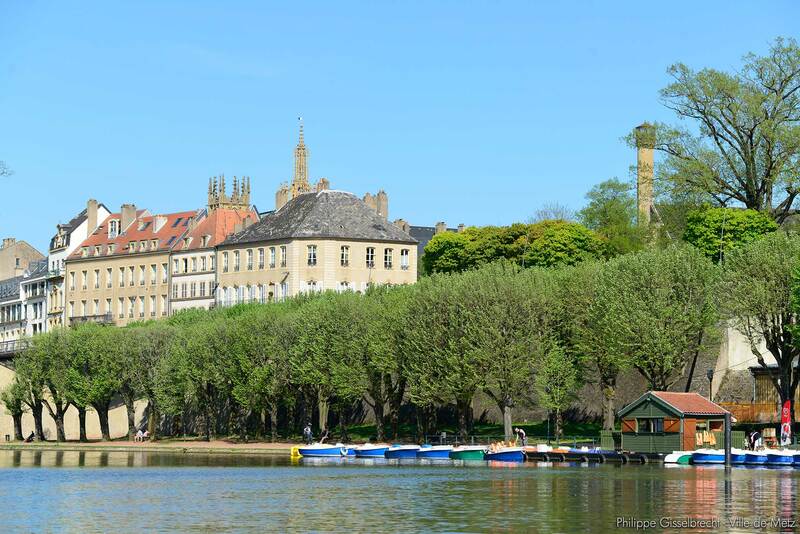 Pass by the comedy square and its opera-theater to reach the district of the rocks with its renovated buildings that once housed the old baths of the city. 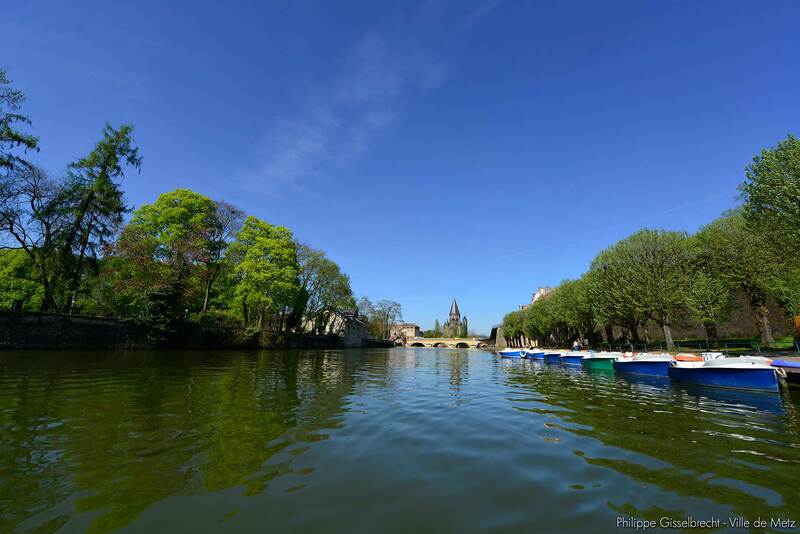 Discover the green spaces and their wildlife. 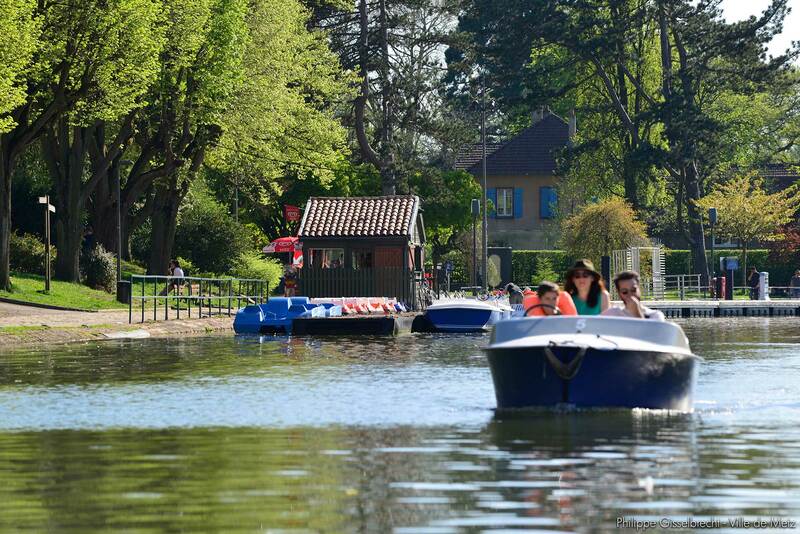 After having crossed the marina with its yachts of tourists who make stops there, you will be able to approach the banks of the pond of water to contemplate the green spaces bordering the waterway while skirting near the wildlife which took there remains, with in the distance on the island of saulcy the university Paul Verlaine. 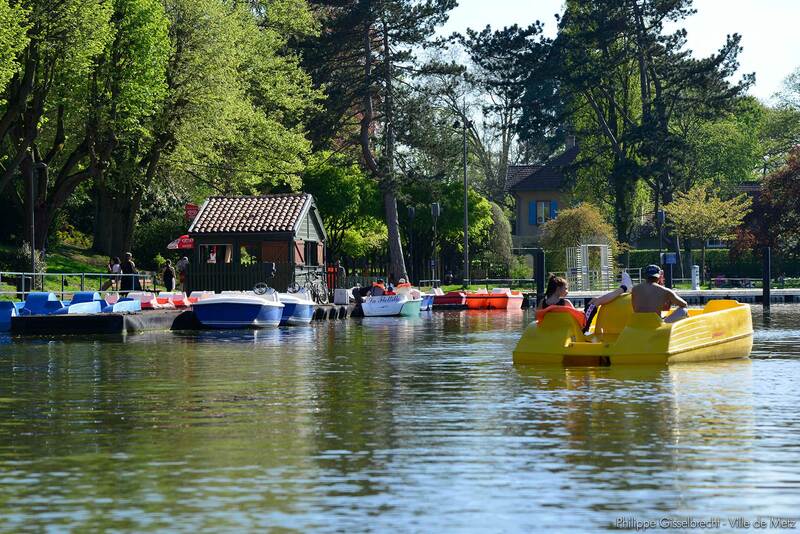 Then you can go towards the sports complex to the island Saint Symphorien, passing the door of the lock of the Jouy Canal to end at the foot of the stands of the FC Metz football stadium. 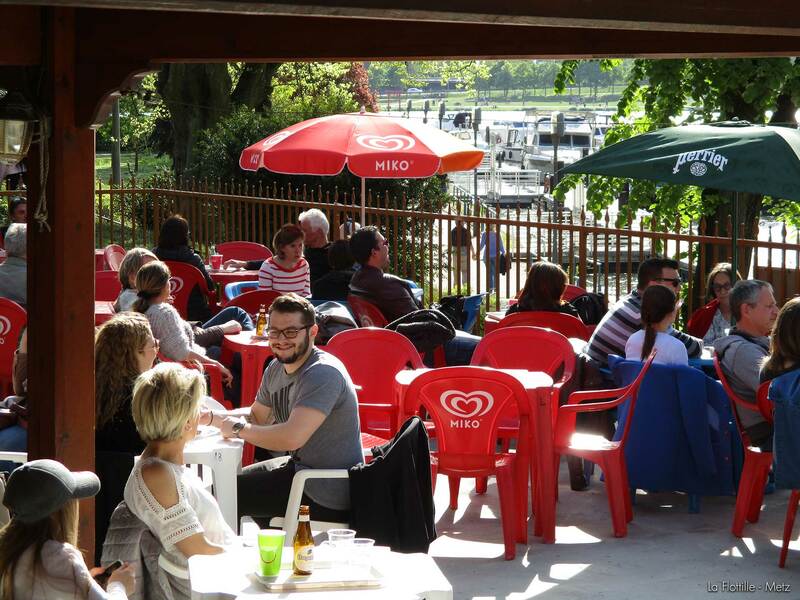 Enjoy our summer terrace, a haven of peace nestled in the greenery, in front of the ramparts of the city, at the foot of the famous Tour des Vignerons. 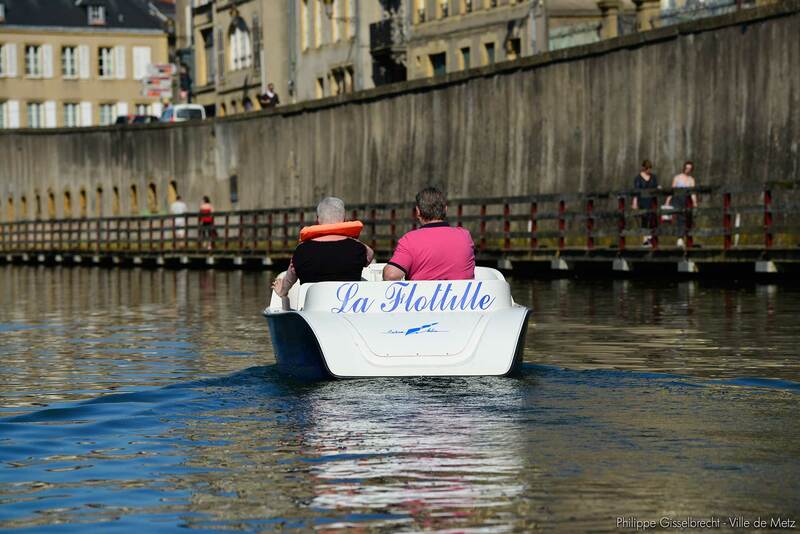 Come have a drink, enjoy an ice cream or eat with an exceptional view of the water and the dead of the Moselle in the city center of Metz.